Bracken Lodge in Weybourne, near Sheringham, Norfolk sleeps 6 people. Bracken Lodge near Sheringham is set in the tranquil holiday park of Weybourne Forest Lodge Holiday Park; Bracken Lodge is a true escape from the hustle and bustle of everyday life. The lodges have been built to offer space around each property, so it really does feel as though you have found a wonderful hideaway, right in the heart of a beautiful forest. 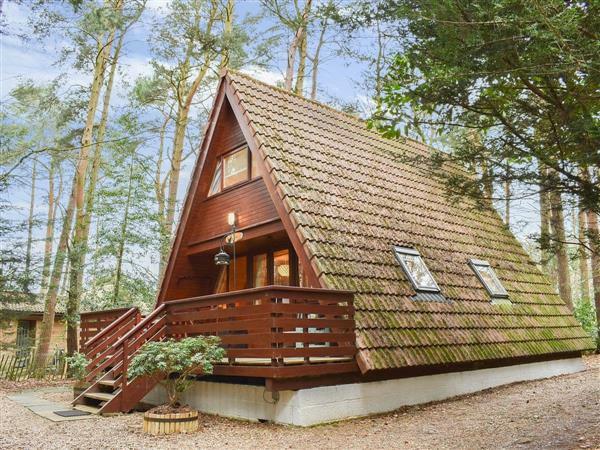 The lodge is set within 100 acres of pine forests, which is surrounded by a further 100 acres of National Trust forest, which leads on to Sheringham Park, where you will find a variety of plants, flowers and wildlife. There are also plenty of footpaths leading through the forest with distances ranging from one to five miles, taking you through the varying habitats of the park. Just a gentle walk away is the North Norfolk Railway Poppy Line, which runs between Holt and Sheringham. This famous steam railway is often used in films and television and has been described as one of the most beautiful rail journeys in the British Isles. Just over a mile away is the pretty coastal village of Weybourne with its shingle beach. This fishing resort is situated on the Norfolk coast Area of Outstanding Natural Beauty. To the east lies the bustling coastal market towns of Sheringham and Cromer, and to the west there is a string of picturesque villages leading to Wells-next-the-Sea with its picturesque quay. Add in numerous National Trust sites, stately homes, bird watching opportunities galore and great cycling routes, and you will see why this part of the coastline remains so popular with guests who return again and again. The beach is 1½ miles from Bracken Lodge near Sheringham. With the shop, pub and restaurant 1 mile from Bracken Lodge. Bracken Lodge near Sheringham has 4 steps to the entrance. Living area: With 27 Freeview TV, DVD player and doors leading to terrace. Bedroom 2: With twin beds (no door). Economy 7 central heating, electricity, bed linen and towels included. Travel cot and highchair. Welcome pack. Terrace. 100-acre grounds (shared with other properties and public). Private parking for 3 cars. No smoking. Pets allowed at Bracken Lodge. For a better idea of where Bracken Lodge is, you can see Bracken Lodge on the map below. Bracken Lodge is in Norfolk; should you be on the lookout for a special offer, you can find all the special offers in Norfolk. It's always worth checking to see what is on offer at the moment. Do you want to holiday near Bracken Lodge (UKC2151), you can see other cottages within 25 miles of Bracken Lodge; have a look to find your perfect holiday location.